I do not have the same enthusiasm for sports which l had when I was a young boy in my teens. Even when I was in my twenties I took a good amount of interest in cricket, tennis, chess and many other sports. This article is about the sporting culture of the seventies and eighties. When I was a boy in my teens, just like other boys of my age, I too took a keen interest in the one sport which is akin to religion in our country, namely cricket. There were also other sports I used to watch on TV like tennis and sometimes football. When it comes to cricket, I remember listening to the cricket commentary on the radio with my mother who was and still is a very keen cricket enthusiast. This was before the time TV made its entry into India. Those were the days when the Indian bowling attack depended largely on the famous spin quartet of Venkatraghavan, Bedi, Chandrasekhar and Prasanna. There was not a single pace bowler of good caliber. 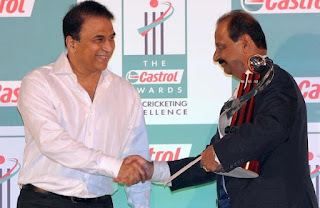 We had two excellent batsmen in G R Viswanath and Sunil Gavaskar. There were several others like Dilip Vengsarkar, Mansur Ali Khan Pataudi, Salim Durrani and the wicket keeper batsman Faroukh Engineer. I remember the mornings in New Delhi when I used to wait with my friends in the bus stop to board the school bus and we used to have heated arguments about who was the better batsman between Viswanath and Gavaskar. 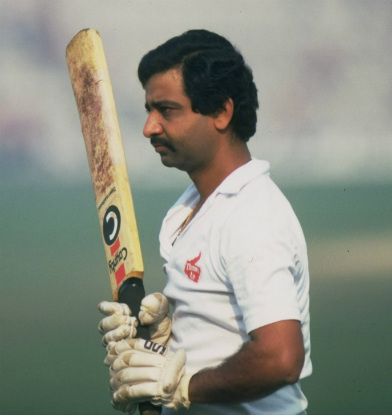 My favorite used to be Viswanath as I considered him a very able player of both spin and pace. I always held the opinion that Gavaskar though an excellent batsman had his limitations against pace. Of course, people used to worship Gavaskar those days and in these heated arguments with my friends, I used to be the sole torch bearer arguing in favor of Viswanath. Those days India rarely used to win a series irrespective of whether it was being played at home or abroad. The West Indians and the Australians had strong teams. England were also a very capable side and these three used to dominate world cricket. South Africa was still under the apartheid regime and was banned from playing international cricket. Those days helmets were unheard of. The fastest bowlers of the world like Jeff Thomson, Dennis Lillee, Michael Holding and Malcolm Marshall had to be faced without any head gear. In the 1973 ashes it was reported that the English batsmen used to tremble when they had to face the Australian pace attack of Thomson and Lillee. A number of English batsmen ended up with broken bones during that series. In 1974/75 Clive Lloyd's West Indian side armed with a terrifying pace attack toured India for a five test match series and beat us 3-2. The pace bowler Andy Roberts was on a rampage. But I must say that the Indians held their own against him commendably, chiefly due to Viswanath's wonderful handling of Roberts' lightning quick deliveries. The last test match was played at Mumbai the erstwhile Bombay and I remember there was some law and order problem. Even in those days Indians could not bear to lose in cricket. Those days there was no TV and all the 5 matches of this series were shown in the Sapphire theater in Chennai as an one hour show and my mother took me to watch it as a special birthday treat. Those days cricket used to hold a lot of interest because it was not so ubiquitous. Nowadays matches are played non-stop through out the year. One day matches were unheard of till 1975. Cricket used to be a leisurely and endearing gentleman's game and used to be seasonal. People of this generation will most probably not agree with me but for old-timers like me there is nothing like a test match where one's skills are tested thoroughly. Batsmen had to have the ability to play defensively in addition to being good stroke makers. One needs to play as per the demands of the situation. Those days a game was a game used to be played in that spirit alone. Nowadays everything has become so commercial with so many sponsors and so much money involved. Now we have the IPL, auctions and whatnot. We have third umpires and scientific means like the hawk-eye to determine whether a batsman is out. And where are we with all this? We still can't make foolproof decisions. The element of doubt is still very much there. The only thing we are accomplishing is to progressively remove the human touch from the game. In 1975, under Venkatraghavan's captaincy India participated in the first world cup and could muster only one win against East Africa. In 1979 they lost to Srilanka which was just a baby in the cricketing arena. But in 1983 India won the world cup and from then onward India gradually developed into a world class cricketing nation. In Tennis, I remember watching the classic Bjorn Borg Vs John McEnroe five set clashes. Borg was a suave, calm and collected player who would never lose his cool on or off the tennis court whereas McEnroe used to be called the super brat and was always controversial. For a long time Borg dominated Wimbledon till McEnroe finally dethroned him in 1980. Then it was the era of Boris Becker and Stefan Edberg and everyone used to support Edberg while I was Becker's sole supporter among my friends. Among women Martina Navratilova and Chris Evert used to dominate the show. Then we saw the likes of Steffi Graf, Gabriela Sabatini and Monica Seles. Among chess players I remember the battles between the ever complaining Viktor Korchnoi and Anatoly Karpov. The controversial American Bobby Fischer was another stalwart in chess. Of course all said and done, things have largely improved in Indian sport. Indian sports persons are bringing more laurels to the country now than in the seventies and eighties. But at what cost? Sports are no longer played for pure fun. It is now a commercial and business venture which is hardly what sports are meant to be. lovely recount, Jai...........my favorite is of course about you and amma watching cricket at Sapphire theatre.....bless !